Is your parrot insured? 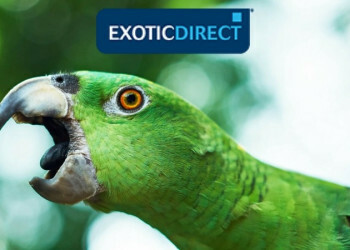 Get a quote for up to £5,000 of vet fee cover, death and theft cover | We've been insuring exotic pets since 1996 | Check out our customer reviews on Feefo. Your parrot’s name should be as individual as your parrot’s personality. When naming your new arrival, don’t hurry. Watch her over a few days, and see what kind of personality she has. Is she quiet and shy? Is she noisy and a bit of a screamer? Or is she playful? As you get to know her, and she gets to know you, you’ll soon begin to see a few traits that will help a name to jump out at you. 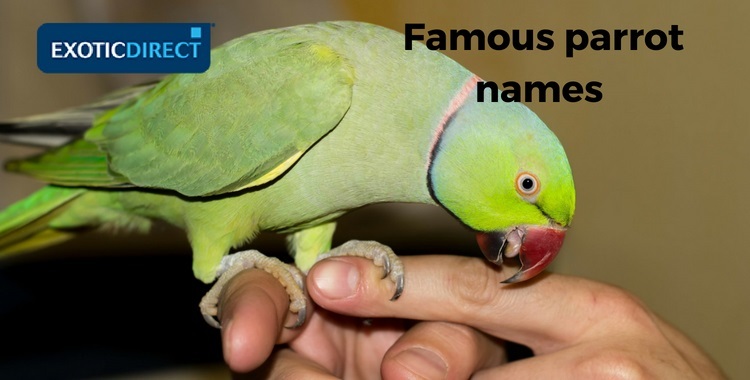 You could also base her name on her colour, a famous parrot, a family name or a film celebrity. 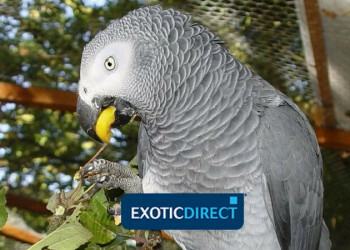 Alex the African Grey is the most famous parrot of them all. He was the subject of a 30 year study to understand how intelligent parrots could be, and his name was short for Avian Language Experiment. He was trained by his owner Dr Pepperberg, an animal psychologist to understand shapes, colour and basic vocabulary. After a while research suggested he had an understanding of speech, to the point where he could be shown an item and correctly identify it and its colour the majority of the time. He could identify colours on items he hadn’t seen before, suggesting that he recognised colour. And he could use the word ‘no’ in the right context, as well as ‘come here’ and ‘wanna go’. He finally also began to put together phrases to identify new items – for example, if he could identify the colour green, and he could identify a wooden item – he would combine the phrases for a green wooden item when seeing a green wooden clothes peg. So how about that for a whizz kid parrot name? Polynesia is the famous African Grey parrot from the books about Dr. Doolittle. Polynesia teaches the Doctor how to speak to animals, and from this, his adventures begin. Polynesia was portrayed as a Blue and Gold Macaw in the following 1967 movie, but didn’t quite make it into the 1990’s movies featuring Eddie Murphy. Blu and Jewel are two famous Spix Macaws that feature in the 2011 animated movie Rio. They fall in love and have to escape from Nigel the Cockatoo. 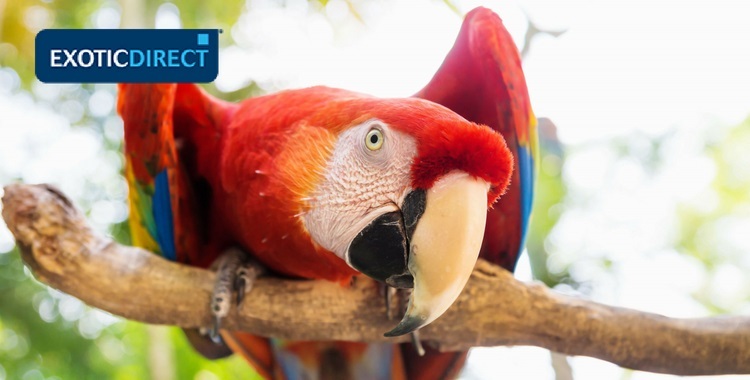 A Macaw named Mac features in the Aussie adventure aptly named Mac. He helps to find buried treasure and save an elderly man from a nursing home. Calling your parrot Alexandrine parrot, Alexander could give him an air of grandeur. After all the species were named after Alexander the Great. He introduced parrots to the Europe and Mediterranean in his travels from Punjab in 327BC. Snowball the Cockatoo is one very famous parrot – famed for his amazing dancing tricks, he appears on Youtube. His shimmying, stomping and head banging to the sounds of pop music has attracted thousands of views. Lago is the famous Scarlet Macaw who accompanied the villain Jafar in Aladdin. You may remember Margalo, the yellow Canary from Stewart Little 2. Einstein is another famous parrot on Youtube – with a vocabulary of 200 words and sounds. He has attracted over 171,000 views on one video and 9,203,000 in another. He even has his own channel with over 59,500 subscribers! The most famous pirate parrot would be Captain Flint, who features in Treasure Island and sits upon the shoulder of Long John Silver. The parrot was named after Long John’s captain. Sometimes you’ll find that that the name you carefully chose for your bird, actually turns out to be for the wrong gender. You’ll find some birds have got some real boy sounding names, such as Artha the African Grey or Henry the Jardine parrot both of whom are female. It’s not easy to tell the gender of your parrot when they’re very young– and unless your breeder can tell you it, a DNA test may be the most accurate way of finding out. You can get this done at the vet. If you don’t fancy a DNA test you can wait till the bird gets a little older and look out for feather colour changes, or whether the bird lays eggs. Determining the gender of birds like the African Grey through colour change though can be very difficult. Any colour changes can be very generic, so a DNA test may be your best bet. We hope we’ve been able to help you along your way to finding the perfect name for your feathered family member. That fits her as perfectly as she does your family. Why is my parrot screaming? 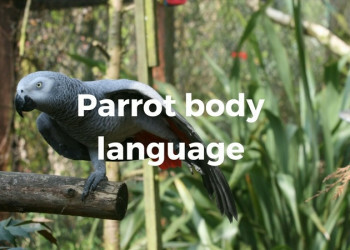 From blushing to purring, do you really know what your parrot is telling you?